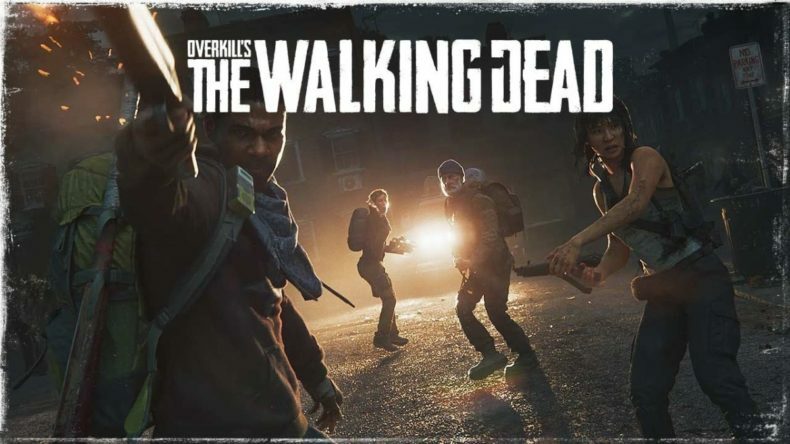 Will Overkill’s The Walking Dead become the most popular TWD game of them all? Only time and sales will tell, but today’s the day we start finding out. What’s so special about this long-in-development game? It’s by far the most ambitious video game to bear the Walking Dead label: a AAA co-op multiplayer shooter full of nonstop action and relentless peril. Four players take on missions through Kirkman’s zombie apocalypse, searching for supplies, safe harbor and other survivors (unless they’re not friendly). You choose how to handle each mission: stealthily sneak around the undead, or just go in blazing and hope your aim is accurate. Content in Overkill’s The Walking Dead will be released in “seasons,” but not in the Telltale manner. The game as-is comprises the first season, with ten chapters to play through. The second season will arrive later this month and add another ten chapters. Overkill’s The Waloing Dead is available now on Steam, in two forms: the regular edition at $59.99, or the deluxe edition (with an artbook, soundtrack, and the Night Raid Collection cosmetic DLC) for $79.99. If you’re a console gamer you’ll have to wait a bit longer. The game is still scheduled to appear on Playstation 4 and XBox One next February.